Too much moisture in the transformer – how to measure and drying out? As an electrical engineer, it’s important to keep your equipment clean to ensure a good maintenance. What to do when there is “moisture” in the transformers? That’s the question this article will answer. The term, “moisture in the transformer,” which is frequently used in the electrical industry, either refers to the water absorbed by the paper in the transformer, or the water that gets dissolved in the oil of the transformer. 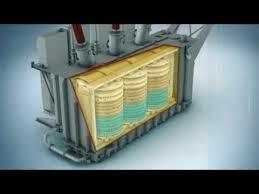 Moisture can be found in various parts of a transformer’s insulation system. It can often get accumulated in the solid insulation of the transformer; get mixed up with the oil; and sometimes, it can also be found in the form of water accumulated at the bottom of the insulation core.